Canada's Anglo-Celtic Connections: How Many DNA Tests Taken? 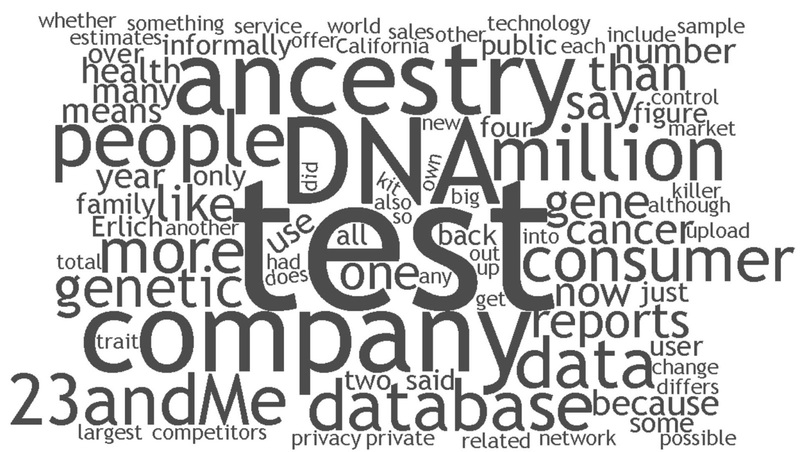 According to MIT Technology Review more than 26 million people have taken an at-home ancestry test with one of the top four companies. It includes tests sold, not necessarily taken, and will double count or more those who tested with more than one company. The article includes sections on: what the tests do, counting users, network effect, health debate, crime and privacy. Where is there information gathered?